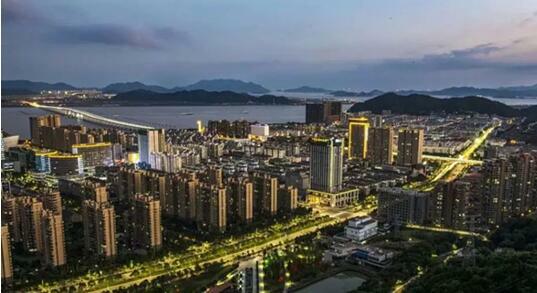 Thegovernment of Zhoushan, an island city in East China's Zhejiang province recentlylaunched a comprehensive urban construction plan to make the city morebeautiful and livable, local media reported. The planincludes 235 projects worth 7.4 billion yuan ($1.1 billion), covering diverseareas ranging from house renovations, road reconstructions, landscapeimprovement to pollution control and international community building. Specifically,the city will finish renovating eight urban villages this year, including 1,020shanties and 399 old and dilapidated houses, and build 11,430 new houses toaccommodate those whose original houses have been demolished by the governmentfor urban construction. Renovationsof eight urban streets will be finished this year, transforming pavements fromconcrete to asphalt, and seven new ones will be built. The citywill accelerate the construction of 10 urban parks and build 15 kilometers ofgreenways. Inaddition, the city will strengthen its overall environment renovations thisyear, with efforts to be made in improving domestic waste disposal, removingrickshaws and regulating pet dog keeping.